Just put your order in for Google's latest Android harbinger, the Nexus 5? Here are some of the best cases you can get right now that are a far better value than what Google and LG have to offer with the official and highly overpriced $35 Nexus 5 Bumper Case and the $50 LG QuickCover accessories. Although the Nexus 5 just went up up for sale today, Spigen has been two steps ahead of the game with some of its most popular cases all readily available to encase your 5-inch KitKat device with awesomeness. Find out what they are in the full rundown after the jump! Make way, Spigen started making cases for Google's flagship Nexus 4. Because you know how hard it is to find a good honest case by a well known brand made for the almighty Android prime. 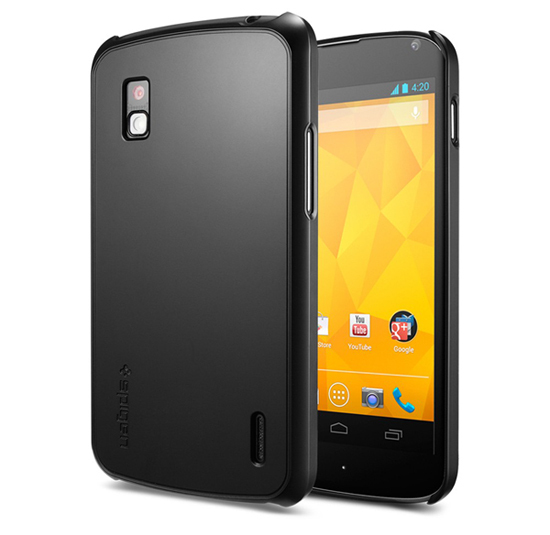 Spigen's Ultra Thin Air case for the Nexus 4 is a $20 ultra-thin, lightweight and slim scratch protective snap-on case that consists of a hard polycarbonate shell with a smooth, matte and anti-fingerprint finish - and UV coating to protect it all. The Ultra Thin Air case offers minimal protection without the bulk and includes Spigen's Ultra Crystal screen protector. It's now available and currently comes in black, but more colors will soon follow. CES 2013 is fast approaching, and it'll bring a massive burst of innovative new gadgets of all shapes and sizes. Canopy is planning on revealing its new iPhone case at the giant international consumer electronics event in Las Vegas on January 6. Canopy's smart iPhone 5 case is taking a step further instead of simply offering protection. The Sensus is a smart touch sensitive iPhone 5 case that essentially adds a capacitive multi-touch touch sensitive back and right side (or top side if held in landscape orientation) surface areas to the iPhone. Why? The Sensus is designed to help you avoid touching your screen by re-routing the on-screen controls over to the case itself. Kind of like a the PlayStation Vita. And in return, you gain full screen real estate and a fingerprint-free display. The trouble is, the Sensus' customizable touch sensitive controls will depend on the compatibility of certain apps as there is no native iOS support for such features. Element Case's first non-iPhone case has finally made its first debut today. The Atom S3 is Element Case's first composite case for the Samsung Galaxy S3 made not from aluminum, but from a ruggedized one-piece TPU body riddled with a real carbon fiber back inlay. The Atom S3 features an ergonomic and grippable surface with integrated buttons and reinforced corners for additional impact protection. The Atom S3 case for the Samsung Galaxy S3 is available now for $44.95. 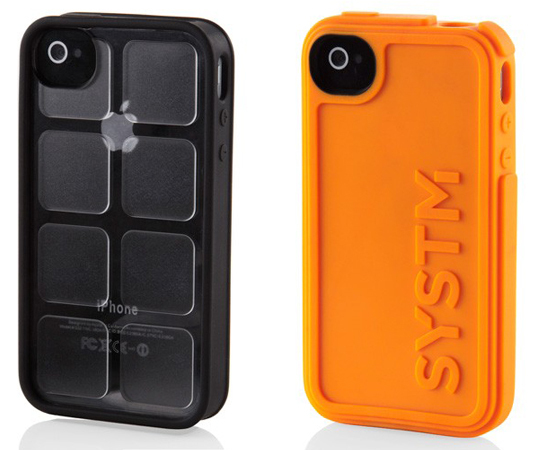 Incase's newly formed venture called Systm, develops iPhone cases with one goal in mind - protection. Systm's three most protective cases range from $30 to $50, and offer lots of grip, symmetrical lines and impact protection designed using science. Inside each one of these reinforced cases is a special Poron XRD foam material that works to absorb shock. If you're looking for something less low-key, Systm's $25 smartly designed Forged and Cartridge rubber-made cases all offer superior grip and have reinforced corners and strategically placed raised bumpers. Would you look at that. 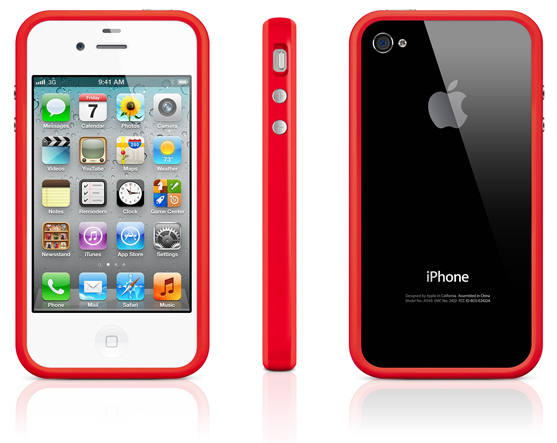 Apple has released a new red colored iPhone 4 and iPhone 4S Bumper case as part of the (PRODUCT) RED campaign for $29. Element Case is taking a little break from producing new aluminum cases and for once, it has released a few new wood-made cases for both the iPad and iPhone called the Wood Series. Element Case's Wood Series cover cases were designed to blend the elegance of natural wood with modern technology. The Wood Series are ultra-thin back snap-on style protective cases which are made using real carbon fiber composite shell for lightweight durability and protection with a beautiful walnut wood veneer exterior that has been permanently bonded with the carbon fiber. 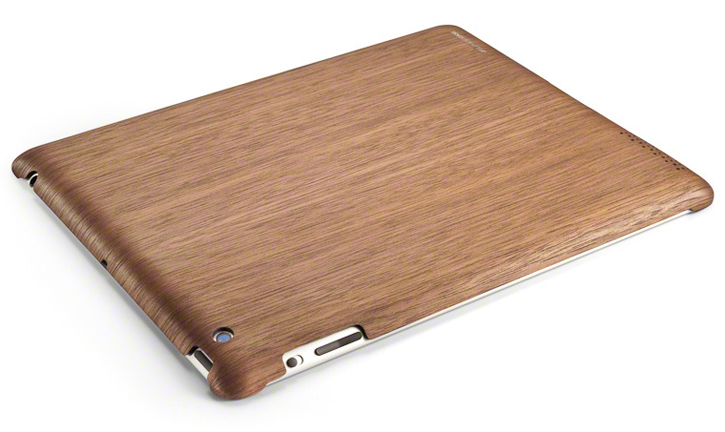 The Wood Series iPad case is compatible with both iPad 3rd Gen and iPad 2 and will set you back $90. The iPhone 4S and iPhone 4 version is priced at $65, and also includes a matching front wood skin.